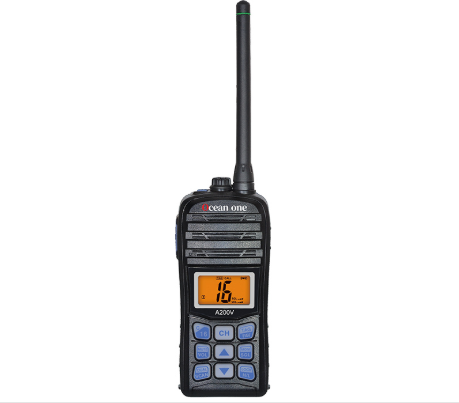 A200V Ocean One Walkie Talkie is a marine wireless hand-held Marine Radio. It is certified by waterproof, CE, FCC, RoHS, etc. It has a floating function and achieves IP68 waterproof level. Dropped water will automatically surface, can be soaked in water for more than 60 minutes without water, still can be used normally. 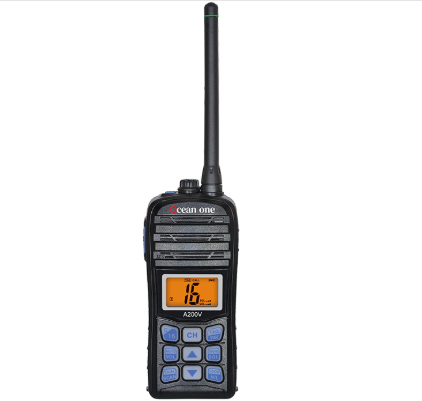 This unit has a dual-frequency watch and a three-frequency watch, which can be selected in the setup mode. The scan function is automatically turned on when no signal is received and no operation is performed for 30 seconds. 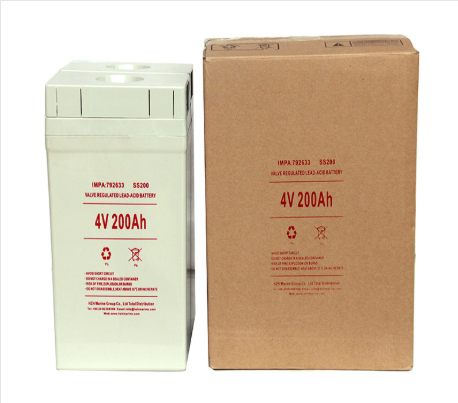 The automatic power saving function can reduce battery loss and extend battery life. Previous: How Is The Frequency Of The Walkie Talkie Divided? Next: How To Use Entel Skull Mic?